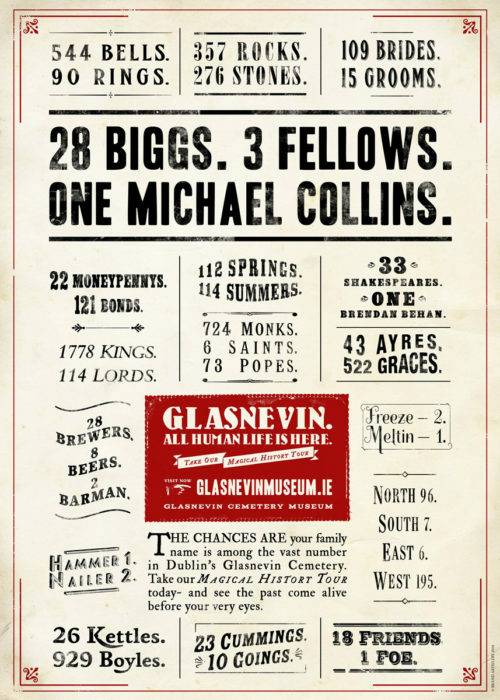 Michael Cusack, legendary founder of the GAA, celebrated in this official poster created exclusively by Brand Artillery for Glasnevin Cemetery. Handsomely printed lithographically on premium Munken Pure Rough 170gm, extra-tactile uncoated paper with antique finish. 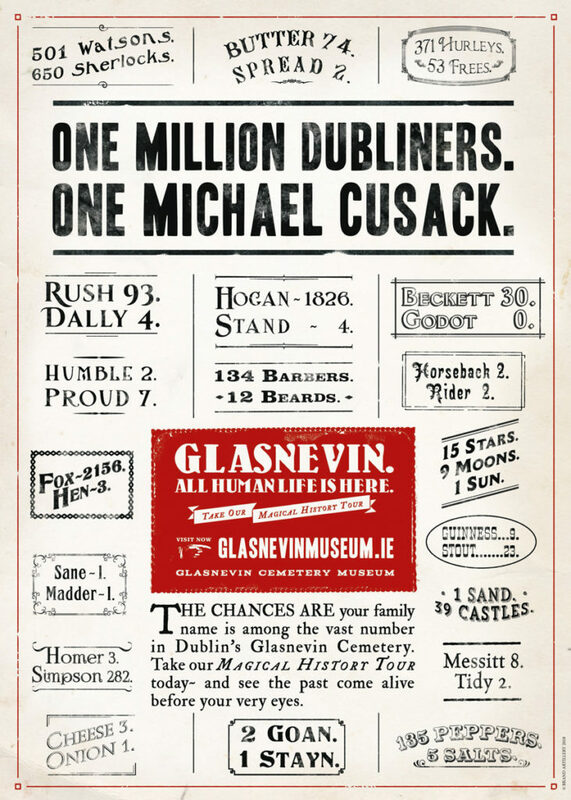 Michael Cusack, founder of the Gaelic Athletic Association (GAA) was born during the famine on the edge of The Burren in County Clare. He was a national school teacher before founding his own academy at the age of 30. 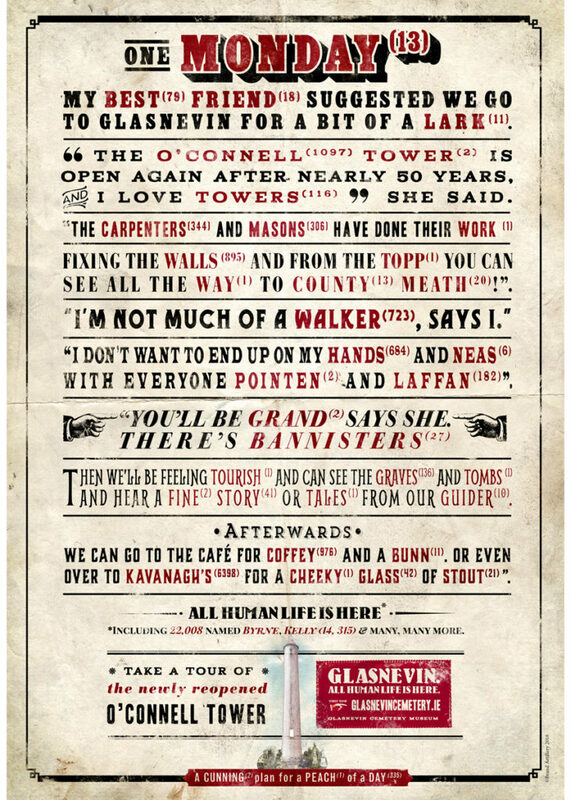 The controversial character of ‘The Citizen’ in James Joyce’s Ulysses was at least partly based on the man who will forever be remembered as the founder of the GAA. A giant statue of Cusack adorns the outside of Dublin’s Croke Park while his name lives on in GAA clubs at home in Ireland and internationally. Printed on premium Munken Pure Rough 170gm, extra-tactile uncoated paper with antique finish. I get the bus most days, and I love seeing these posters on the bus. Apart from making interesting reading, they cheer me up. They are clever, interesting, funny, and still respectful when you consider they are about the dead; about a graveyard. 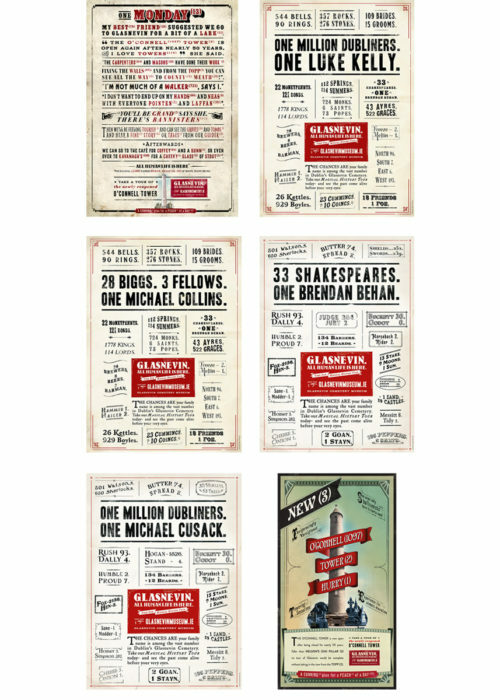 Christmas is coming, so I’ll be seeing who on my list would enjoy one of these great posters.